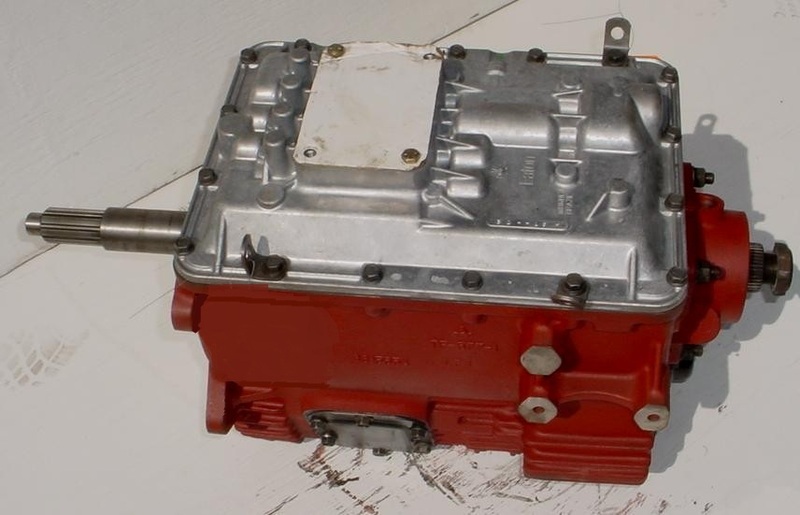 Rebuilt Fuller Transmissions For Sale. Rebuilt Truck Transmissions Delivered to Your Door. All Rebuilt models are available. Rebuilt Manual truck transmissions, Rebuilt auto shift models and Rebuilt midrange and Rebuilt auxiliary units. All Rebuilt Fuller transmissions are in stock from our rebuild centers located nationwide. 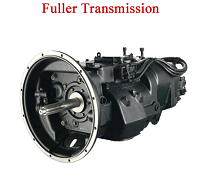 Quality rebuilt Fuller truck transmissions from a company run by people just like you. Our goal is to assist you how ever we can at a price you can afford. We know you can shop anywhere and we will work hard for you. We want to earn and keep your business. We can only succeed if you do and we know that! Remember, along with our full line of Fuller rebuilt exchange transmissions we also offer a full line of Rebuilt truck differentials, Rebuilt transfer cases. Distribution centers located in Atlanta, Charlotte, Chicago, Dallas, Denver, Detroit, Fresno, Grand Rapids, Houston, Indianapolis, Little Rock, Los Angeles, Miami, Orlando, Phoenix, Tampa, Teterboro, Tulsa. Save big on your rebuilt Fuller truck transmission for sale at a discount. Overnight delivery can be arranged when needed so call today for a quote on your rebuilt Eaton Fuller transmission. The only call you'll need to make. Why Pay More? Buy Direct and Save! We offer wholesale pricing to everyone on all units along with parts, sales, repair and rebuilt exchange units. Professional rebuilding services for your existing transmission, differential, transfer case or PTO as well as all related repair parts. Our rebuilt transmission exchange program is the most affordable in the industry with 7 distribution centers located throughout the USA along with 25 parts distribution centers. All models carry a full one year, unlimited mileage warranty and a name trusted Worldwide. Our rebuilders are factory certified professionals. So, when it comes to the Fuller transmissions in your fleet of trucks or the one that you depend on in your personal truck we have the credentials and experience to rebuild it and do it right. We will deliver the correct transmission exchange unit to any shop and come pick up the core when it's ready and pay for the return shipping. When You want it done and done right give us a call. That's what we do! We can also install all the latest parts and upgrades from Eaton-Fuller when we rebuild your transmission. Quality Rebuilt Fuller Manual Truck Transmissions, Rebuilt Fuller Midrange and Auxiliary Transmissions Built To Last, Fast service and a price you can afford. What more could you ask for? All Models of Rebuilt Fuller Transmissions In Stock Ready To Deliver. We offer rebuild and exchange programs for all name brands consisting of all models ready to ship. We also provide same day shipping Worldwide. Our All American Crew of Truck Transmission Re-builders have the experience to do the job right the first time and we work hard to insure every rebuilt Fuller Transmission meets or exceeds industry standards. All models ready to ship. We also offer complete rebuilding services for your existing transmission in addition to our huge inventory of exchange transmissions. We can pick up and deliver your transmission anywhere. 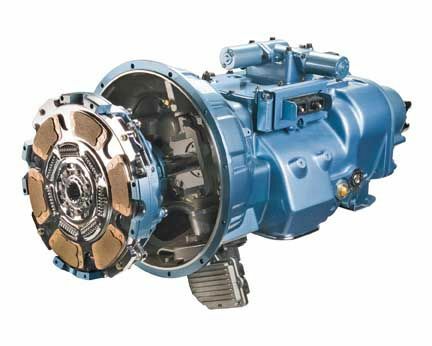 We supply the rebuilt Fuller transmission you need as well as rebuilt midrange and auxiliary truck transmissions at outlet pricing. We can deliver a fully rebuilt and guaranteed unit to you faster than you can locate the repair parts to do it yourself. For all your Rebuilt Fuller needs, we STOCK it all and deliver across the entire World at warehouse outlet pricing. Give us a call and we will locate the rebuilt unit you need at our nearest location to you and get it shipped today at a price you can afford. We stock the full line of Rebuilt Fuller Midrange models for sale. Quotes are available via phone or email so contact us today and we will get started on getting you back to work as soon as possible. Heavy-Duty, Mid-Range and Auxiliary transmissions rebuilt at the factory. Covered by the factory two year warranty and delivered to your door. One simple call to our rebuilt truck transmission accociates and we handle the rest so you can get back on the road. Fleet managers and owner operators, we are here to serve you with the finest quality Rebuilt Fuller transmissions available at a price you can afford. Fuller Rebuilt Transmissions For Sale. Rebuilt and Used Fuller Truck Transmissions In STOCK!. All Rebuilt manual, auto shift, midrange and auxiliary Fuller transmissions on sale now! We offer the finest rebuilt truck transmissions on the market and back them up with our iron clad warranty and a reputation throughout the industry for honesty and respect. All models are available from our store. Rebuilt Fuller transmission distribution centers located in Detroit, Las Vegas, Los Angeles, Houston, Orlando and Atlanta. We can also deliver to the repair facility of your choice and deal directly with their staff to get you back on the road as soon as possible.